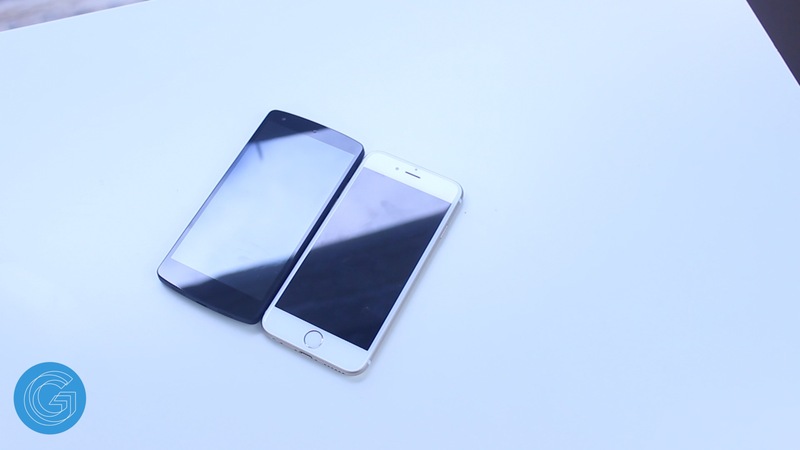 iPhone 6 vs Nexus 5 – Which Is Faster? 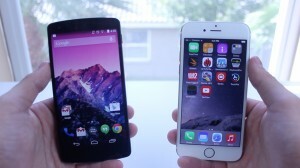 In this article we’re going to be doing a quick benchmark test between the new Apple iPhone 6 and the LG Google Nexus 5. Each of these are flagship phones and some of the most powerful on the market, so let’s see how they compare. Spec wise the LG Google Nexus 5 is powered by a Quad Core Snapdragon 800 processor clocked at 2.3GHz, the Adreno 330GPU, and 2GB of RAM while the Apple iPhone 6 has the new A8 chip with 64 bit architecture. Starting it off with the benchmarks the first test we’ll be doing is 3D Mark. 3DMark simulates the high intensity graphics of all the newest games and tests them on the device. 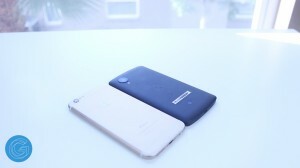 In our case the Nexus 5 was able to score 13327 and the Apple iPhone 6 scored 17416. Moving on to Geekbench 3 which is one of the most widely respected benchmark apps, this will test the pure power of the iPhone 6 and Nexus 5 and also the memory. The iPhone 6 finished with a single core score of 1627 and a multicore score of 2926 and the Nexus 5 received a single core score of 889 and a multi core score of 2708. To put that into perspective the iPhone 5S scores 1412 single core score and 2564 multicore. 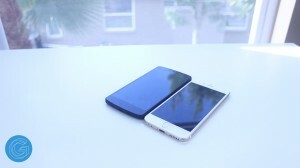 So as you can see the iPhone 6 and Nexus 5 are both extremely powerful devices. If you found this article helpful then be sure to share this article and leave a comment!